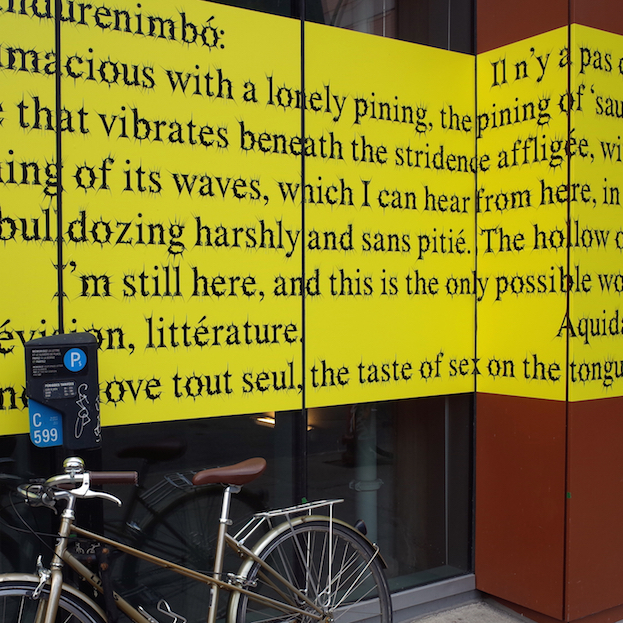 Wilson Bueno via Erín Moure: Mer Paraguayenne is a collaboration with Montreal-based poet Erín Moure on the exterior of Concordia University’s EV building on Ste-Catherine St. in downtown Montreal. 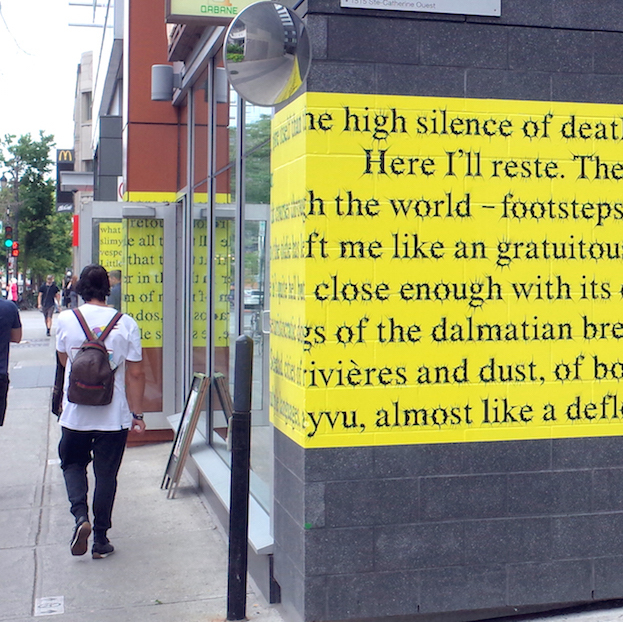 Installation concept and typeface by Andrew Forster with Moure’s translation of Wilson Bueno’s Mar Paraguayo. 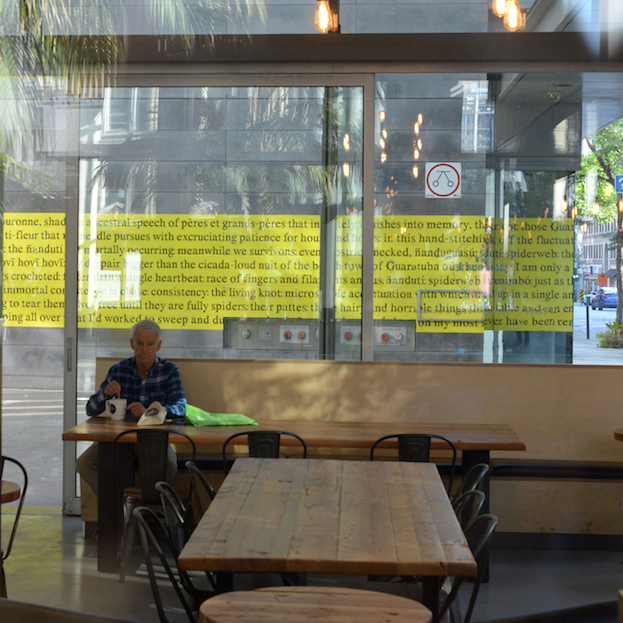 Wilson Bueno, well-known in Brazil, wrote several books fundamental to contemporary Brazilian literature including Bolero's Bar (1986)and Cachorros do Céu (2005). 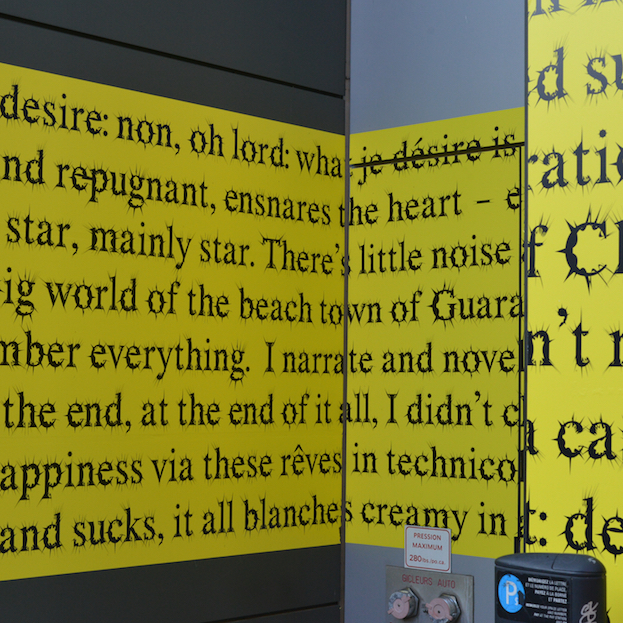 His Mar Paraguayo (1992) is the only work of Bueno written in a mixture of three languages: Portuguese and Spanish (or Portunhol) and Guaraní (an inidgenous language of the Paraná region and an official language of Paraguay). 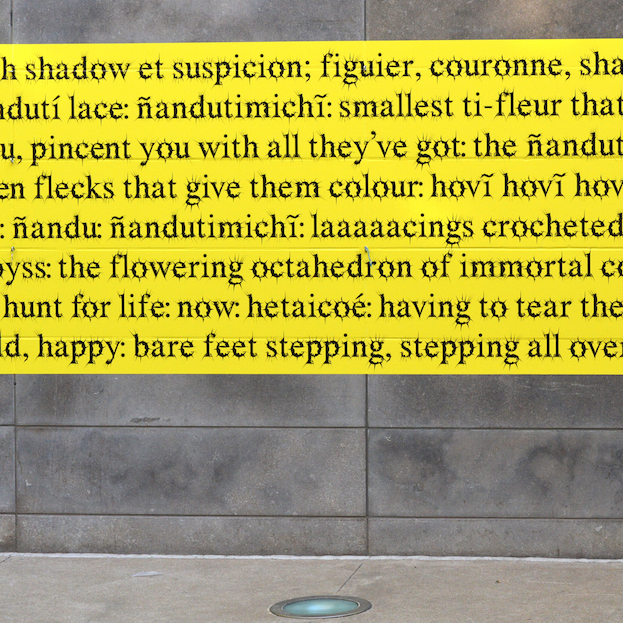 Moure’s translation for the Montreal street is into Frenglish (an English inhabited by French) while leaving the original Guaraní in place. 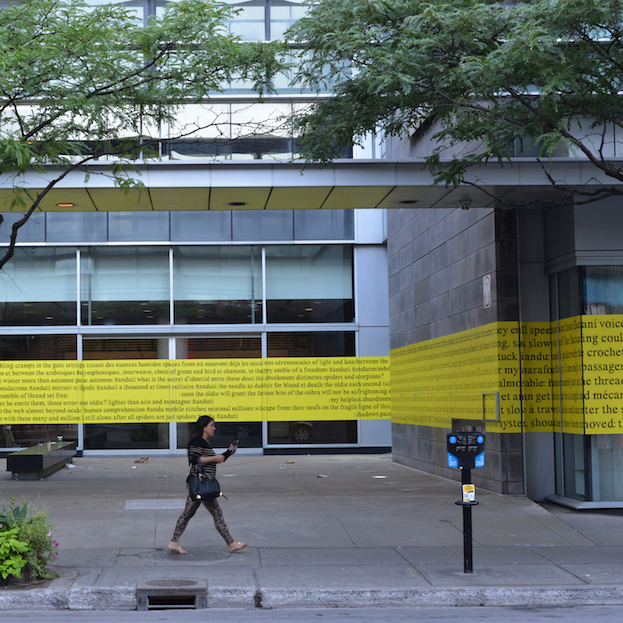 The yellow band of text (1.5m x 70m) wraps around the ground floor of the building. 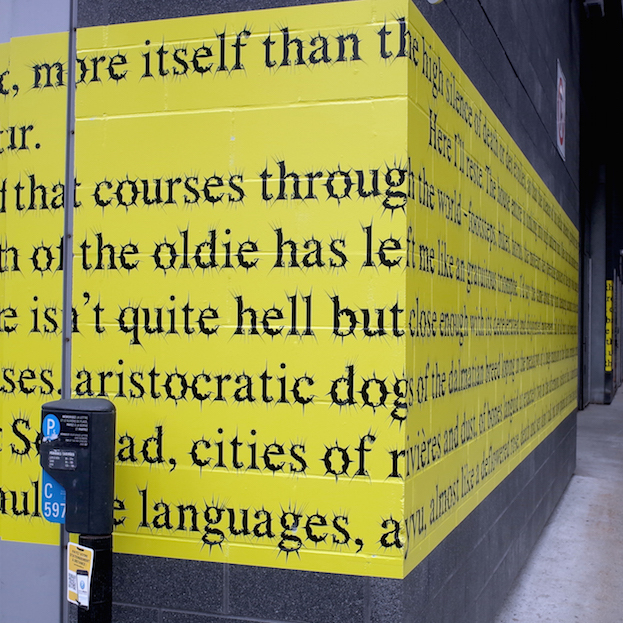 The text can be read continuously by walking around the building or burrowed into at any point. 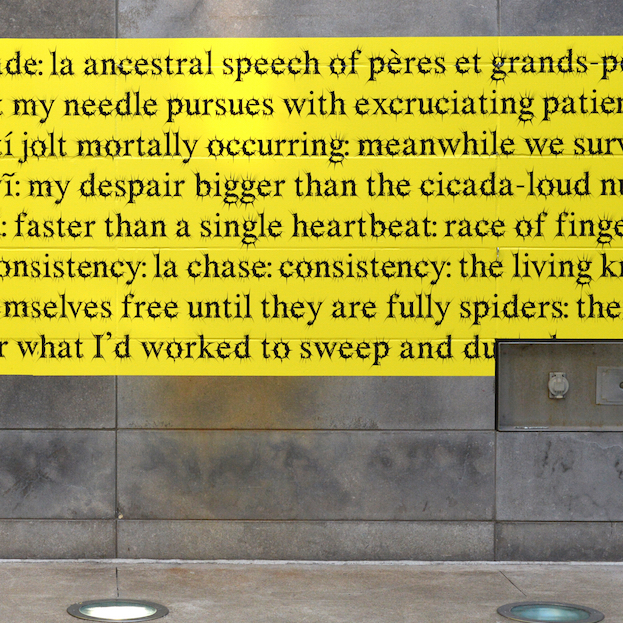 EM’s translation of Mar Paraguayo is published by Nightboat Books, NYC (Paraguayan Sea, October 2017).